We’ve spoken often in this blog about general rooftop safety hazards and regulations. 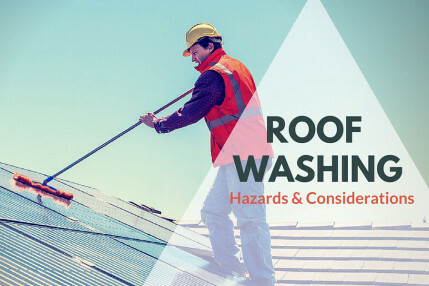 We recently focused specifically on one rooftop activity when we posted about the hazards associated with washing roofs, and we felt that rooftop HVAC work deserved the same treatment. How can we best keep our HVAC workers safe when servicing rooftop units? I know I probably haven’t, but I feel I’ve seen it all. From tools being thrown to or from a roof, to a person standing on a parapet while hauling up tools and material on a rope, rooftop workers often put themselves at risk when getting the tools and materials they need. Sometimes, this comes with the nature of the job. A quick service or maintenance visit can mean that HVAC workers are up and down from the roof quicker than you might have even realized they were there, but that doesn’t mean they can’t get hurt or killed in that short period. As an employer, the best way to avoid this is to ensure you have planned out how everything will get there in the first place. Do not leave it to the workers in the field because the moment they are faced with doing something wrong or doing something quickly, quickly often wins out. Freight elevators are, of course, the easiest solution when there happens to be one because there is no setup involved so it doesn’t matter how long or short your work is going to be. Unfortunately, more often than not they are not available. So, what other ways can you safely get materials to and from the roof? Do you have a rough terrain forklift on site that can reach the roof? If not, does the property owner? Do you have a crane coming out to set equipment? If so, maybe you can utilize them to get tools and materials up. If you don’t have anything of great size to raise to the roof, maybe it’s a matter of simply ensuring your workers have tool belts so that their hands aren’t full when they’re climbing ladders. If all else fails, a material hoist is always an option. 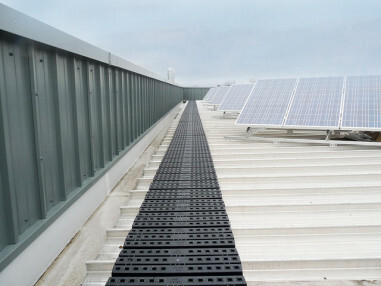 They are often quick and easy to set up, but be careful, you will need fall protection – whether personal fall arrest, railings, travel restraint or some other solution - while setting up the hoist and operating it since it will be at the edge of the roof (unless it is set up at a parapet that is high enough to serve as fall protection). Sometimes your work is in a completely safe, easily accessible place. Sometimes it’s not. Sometimes you have more than one location to work on the roof and traveling between them is where your hazards come into play. Routes of travel that take you past skylights or near the edge of the roof have now exposed you to fall hazards. Ensure, prior to beginning work, that you are familiar with the layout of the roof and that you have planned safe travel routes. This may require portable railings or other means of fall protection. Do not assume a cage over a skylight will protect you as many are not designed to serve as fall protection as you can read in our previous posts on skylight safety. But falls aren’t the only problem when traveling on the route. Slips and trips can also be a problem as a roof can have many uneven or slippery surfaces (morning dew anyone?). Keeping an eye out where you walk or sticking to designated walkways that a building owner has established are the best ways to keep safe. Carrying material or equipment that block your vision could very well keep you from noticing that low run of conduit in your path, or that bubble in the roof membrane. Be vigilant. You’re working on HVAC so we’re going to assume you’re very familiar with a building’s exhaust. Sometimes exhaust is a nuisance, but sometimes it’s downright hazardous. Sure, we can deal with getting covered in the smell of cooking grease wafting up from a kitchen, but what might you be inhaling if you’re on the roof of a pharmaceutical manufacturer or chemical manufacturer? Ensure that you are fully aware of a facility’s roof work policies. Do not attempt to bypass them in any way, even because you just forgot a tool on the roof, because those policies exist for a reason. Some process plants can exhaust chemicals that can make you sick – or worse - immediately. As with exhaust, there are many other rooftop hazards that don’t involve falls. Electrical and mechanical hazards are some of them. In order to work on existing equipment, it should be de-energized and locked out in accordance with your company’s lockout/tagout program. Again, this is something that should never be bypassed, not even if you just have some quick work to do. If you can be harmed by the accidental startup of that equipment, regardless of how likely or unlikely that startup is, you must lock and tag it out in order to protect yourself. If you don’t have a lockout/tagout program or are unfamiliar with the term, you are missing some critical training and procedures in order to work safely and be compliant with the law. You are working on somebody else’s roof, you should respect that. Small things you do could cause damage to the roof membrane which can lead to leaks and bigger headaches for the building owner. Be careful you don’t overload any one spot with materials. Don’t wear or drop anything that could cut the membrane. While keeping yourself safe is a top priority, you also don’t want to cause a problem that’s going to affect somebody else’s health or safety down the road. Regardless of the length of time you will be on a roof, your employees must be protected. However, putting protection in place may not be enough. 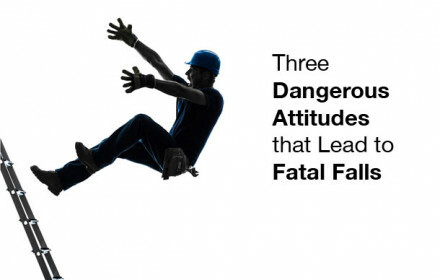 It is up to you to ensure that employees are properly trained to recognize, abate, or avoid hazards so they can get up, get the job done, and get down without incident. Plan ahead. It’s the best way to keep your workers safe. As rooftop solar installations grow, so grows the need to access the roof safely.